Field & Cave Outfitters is now running a great SALE on its 3/8″ AR500 Gong Combo Packs. These 5-Packs include 4″, 6″, 8″, 10″ & 12″ laser-cut steel round gongs with two hanging “ears”. For the rest of January, or while supplies last, Field & Cave is offering these for $69.99 DELIVERED! Grab one of these packs of AR500 targets before they run out. This super-low price won’t last long. These are not seconds or imports and are laser-cut in Texas from prime domestic NuCor AR500 plate. Gongs ship USPS Flat Rate Priority Mail, so customers are getting them in as few as two days after ordering (USA addresses only). Krieger produces some of the finest cut-rifled barrels on the planet. They are in high demand, but thankfully Bruno’s always stocks a large selection of Krieger barrels in a variety of calibers and contours. Right now you can save $25 on super-premium Krieger barrels with Bruno’s barrel bargain days. All Krieger Barrels are now $25 off. Bruno’s has a great selection right now including some of the hard-to-find 6.5mm and .284 barrels. We like Kahr pistols for self-defense. They are slim, the grips are comfortable, and the DAO triggers are pretty smooth. Kahr pistols are also an excellent value. Right now, the hard-hitting .40 S&W Kahr CT40 is on sale at Brownells. The CT40 features a polymer frame, stainless steel slide, 4″ barrel, and white bar-dot sight configuration. This pistol is just 0.94″ thick and weighs just 21.8 oz. with empty magazine. This is a slim, relatively light-weight carry option. Right now the CT40 is on sale at Brownells for $279.99 with a $10 FFL fee. Use Code M8Y to save $20 with free shipping. That lowers your net cost to $269.99 delivered — a heck of a bargain. Inset image from Guns America CT40 Review. We see more people storing their guns and valuable in multiple safes. This way you can have rapid access to home-defense weapons, while still keeping your main collection in a big heavy safe. You may also want a secondary safe for a separate work-room or storage area. The Barska Biometric Safe is a great size for small rooms, yet it still holds full-size long guns. This safe features instant access with a Biometric scanner that reads the owner’s fingerprint. This Barska provides a very high-tech storage solution for $299.49 — a reasonable cost. Get one now and they’ll even throw in a FREE $25 value dehumidifier! For more details on the M1A promotion, CLICK HERE. You’ll find qualifying M1A rifles at Cabelas.com and other large retailers. If an M1A has been on your wish list, this is an attractive offer. When you head to range do you always seem to leave something behind? Pick up this MTM Tactical Range Box and you’ll be able to fit everything you need inside — ammo, cleaning supplies, tools, target stickers, Kestrel and even a set of earmuffs. This range box include multiple small parts trays, plus two padded stirrups that anchor into the base so you can use the range box as a field cleaning stand. The MTM Range Box also has a vertical support bracket that fits in the magazine well of AR-platform rifles. On sale now at Creedmoor Sports for $44.95, this is an versatile item that can tote your ammo, accessories, and serve as a cleaning station at the range. Share the post "Bargain Finder 173: AccurateShooter’s Deals of the Week"
Can You Hit a Watch Face at 200 Yards — With Iron Sights? You know how it goes. There are challenges for pride, bragging rights, and often some money is involved, or perhaps a six-pack. In this GunVenture video, three shooters take on the challenge of hitting the face of a watch at 200 yards using an M1A rifle with standard iron sights. The rules were exact — you had to hit the FACE of the watch, not just the strap. And the bullet had to penetrate the center of the watch — no splash shots or ricochets allowed. Not an easy shot — we figure that watch face is about 1.5″ in diameter or roughly 0.75 MOA at 200 yards. They were shooting factory .308 Win ammo with 155gr bullets — a Palma load. One of the shooters, range owner Justin Watts, rose brilliantly to the challenge. You can see Justin’s remarkable shot at 3:20 time mark. Holding slightly for wind, he drilled the watch face dead center, obliterating it, but leaving most of the band intact. At 4:25 the video reveals that the whole center of the watch (the works) was blown out, leaving nothing but a rubber doughnut. Mighty Impressive. Share the post "Can You Hit a Watch Face at 200 Yards — With Iron Sights?" Do you own a Springfield M1A (or wish you did)? Then you should watch this 5-minute video from the American Gunsmithing Institute (AGI). This video shows the basics of the operation of the popular M1A rifle, the civilian version of the military M14. In this video, gunsmith John Bush field-strips the M1A and shows how the bolt, op rod, and trigger group fits together and operates. This video contains excerpts from the M1A Rifle Armorer’s Course, AGI Course #1584. The full Armorer’s Course is available on DVD from www.AmericanGunsmith.com. The 11th annual Springfield Armory M1A Match will take place during the 2017 National Trophy Rifle Matches. The CMP will host the event on Saturday, July 22, following the John C. Garand Match. Competitors of all experience levels are encouraged to bring their M1A rifles to Camp Perry and compete. Registration for the match will open April 1, 2017, and is open to all individuals ages 12 and above, with an entry fee of $50 (junior $25). The Springfield Armory M1A match began with one man’s idea and passion. Springfield Armory’s Mike Doy witnessed the waning of classic M1 Garand and M1A rifles from the competitive High Power firing lines. “I really wanted to get those M1A rifles out of safes and closets and back out onto the field. So 11 years ago, I promoted the idea of running an M1A-specific match at Camp Perry. That first year we had over 600 competitors and spectators.” Now the match offers some of the biggest pay-outs at Camp Perry. In recent years, Springfield Armory has donated over $25,000 worth of cash and prizes, including a $2,000 cash award to the overall winner. Share the post "AGI Armorer’s Course Video Shows Operation of M1A"
Old “Number 2″ belonging to Ray Gross. Click Photo for full-screen Image. Affectionately known as ‘Number 2′, she is the rifle that I earned my Distinguished Rifleman Badge with in 1995 (#1159). That rifle was also responsible for a fair amount of Venison in the ’90s, as well. But since then, she has spent a lot of time in the closet. Last time I got her out was to destroy a bunch of hard drives containing evidence collected during my Computer Forensics days. She deserved better than that. Share the post "Ray Gross Parts with a Cherished Old Friend…"
Nick Till in 2009 M1A Match. Nick was the 2007 Service Rifle Nat’l Champion. Photo courtesy NRA Blog. This year marks the 10th anniversary of the NRA Springfield M1A Match, scheduled for July 31, 2016 at Camp Perry, Ohio. The Springfield M1A Match will kick off the 2016 NRA National High Power Rifle Championships. With this year’s anniversary M1A competition, more than 4,000 competitors will have shot the classic M1A for score from Camp Perry’s 300-yard line. Big bucks will be at stake in this year’s M1A match. Springfield Armory is donating over $25,000 worth of cash and prizes, including a $2,000 cash award to the overall winner. All competitors who register by July 15, 2016 will also receive a free Springfield M1A Match T-shirt. Equipment rules allow pretty much all types/grades of M1As in the match. The one-day course of fire consists of 50 shots at 300 yards on the NRA MR-65F target, as follows: 5 sighters; 20 shots slow-fire prone; 10 shots rapid-fire prone; 10 shots rapid-fire, kneeling or sitting; and 10 shots slow-fire standing. Share the post "Springfield Offers $25,000 in Prizes for 10th Annual M1A Match"
Competition teaches you things. Compared to loading for benchrest bolt guns, producing ultra-reliable and accurate ammo for tight-chambered, semi-auto .308 target rifles requires a different approach to case prep. Smoothness of operation is much more important in a field course gun. Reliability trumps everything (even case life) for these types of guns. In the photo below, there’s a Redding small base body die for bumping the shoulder and making sure the case body is at SAAMI minimum. This body die is not just nice to have. It is vital. There are also a full-length sizing die and a Lee Collet neck-sizer in that turret holder. One or the other gets used after the body size die depending on what rifle the ammo will be used in. The semi-auto rounds always go through the full-length sizing die. After that comes trimming and finally cleaning — then loading can begin. The cases are trimmed using a Gracey trimmer so everything’s the same each and every time. I use an RCBS Competition Seater Die to seat the bullets. One nice feature of this RCBS die is the open side slot that allows you to place bullets easily. It’s a long path methodology but uniformity is accuracy. More important for safety, controlling “stack-up” errors in the system solution is how one achieves reliability. The chamber-hugging philosophies of benchrest bolt guns do not apply well to AR-10s. Like most things, the right answer is context-dependent. Success is about accepting and adapting. I have succumbed to the Dark Side — deciding to put an AR-10 together. For tactical competitions you want a bolt gun most of the time but there are times the course of fire favors the use of a semi-auto. I was using an M1A that gives me 0.75 MOA performance but I heard people were getting almost bolt-gun-level, half-MOA accuracy out of their AR-10s — so I wanted to see if that was really achievable. A quarter-MOA difference in accuracy potential may seem tiny in practical terms but it will make a difference in competition. In a match, the difference between 3/4-MOA and 1/2-MOA can alter your hit probability on a small target by 20-30%. The AR platform also lets you tinker with triggers, stock ergonomics and muzzle brakes that help in managing the dynamics of a long distance shot better. Well I found out you can get the incremental accuracy but there’s more work to do to get the same reliability. Being a curious sort, it’s worth it to me to explore it. It’s a far cry from as-issued M-1 shooting with whatever HXP is handy. This is definitely swimming in the deep end of the pool. Share the post "Die Selection and Reloading for Reliability in AR10s"
Springfield Armory has taken the M1A into the 21st Century with an adjustable modular stock that makes this classic semi-auto rifle more versatile than ever. The adjustable stock on this Loaded M1A (MP9826, MSRP $2,021) offers many cool features. You can raise/lower the cheek-piece with a handy rotary knob. Likewise the buttplate can be moved in and out with a quick-adjusting knob, allowing length-of-pull adjustment up to 1.3 inches. The toe of the stock features a bag-rider section, making the gun more stable on a sandbag. Up front you’ll find an accessory rail plus a forward-angled swivel stud allowing easy bipod mounting. The included iron sights feature half-minute adjustments for windage and 1-MOA adjustments for elevation. The 22″ stainless steel barrel has a 1:11″ twist. Rifle weight with an empty magazine is 11.25 lbs. At the 2015 SHOT Show, Rob Leatham runs through Springfield Armory’s new Loaded M1A Series rifle with an adjustable stock (MP9826, MSRP $2,021). In 1974, Springfield Armory began offering a civilian-legal, semi-automatic version of the M14 known as the M1A™. M1As have enjoyed some success in Service Rifle and High Power Competition but today most Service Rifle shooters use the lighter-recoiling AR-platform black rifles. Nonetheless the M1A remains popular with American shooters and the annual M1A Match at Camp Perry offers serious, big-time prize money, thanks to Springfield Armory. In 2014 over $25,000 worth of cash and gear was awarded to Camp Perry M1A competitors, making the M1A Match the richest single rifle event at the NRA National Championships. Share the post "NEW “Loaded M1A” with Precision Adjustable Stock"
Classic American battle rifles have regained popularity via M1 Garand matches, service rifle matches, the M1A Match at Camp Perry, and Vintage Sniper competitions. If you own a classic M1 Garand, or an M1A, the modern semi-auto descendant of the M14, you should enjoy the two videos presented here. With help from our friend Grant G., we managed to located two original U.S. Army training films, one for the M1 Garand, and one for the M14. Both films use clever animated drawings to show the gas guns’ internal operations and cycling processes. The successor to the M1 Garand was the M14. 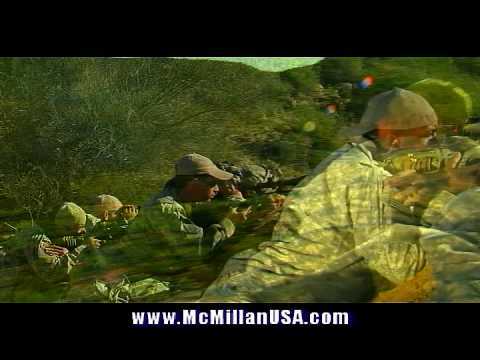 The 27-minute official U.S. Army video below demonstrates the operation of the M14. Field-stripping is shown from the 5:13 time-mark through 8:30. Cut-away drawings show the M14’s gas operation at 8:40. The complete 8-step functioning cycle is demonstrated from the 9:25 time-mark through 22:41. These eight operations are: 1) Feeding; 2) Chambering; 3) Locking; 4) Firing; 5) Unlocking; 6) Extracting; 7) Ejecting; and 8) Cocking. This movie is fairly long, but fans of battle rifles will find it well worth their time. Every M1A owner should definitely watch this video start to finish. Share the post "Blast from the Past: M1 Garand and M14 Training Films"
The NRA maintains a webpage with the latest results for all the National rifle and pistol matches at Camp Perry. Click any of the links below to launch a page with match-by-match results. Once you navigate to the appropriate results page, click the particular match title (or 3-digit match number) to open a table with ranked lists of competitors with their scores. For example, the National High Power Rifle Championship is Match number 400. The Springfield M1A Match was held Wednesday July 24, 2014. Sponsored by Springfield Armory, this popular event features big-money payouts and valuable hardware prizes. More than $25,000 in cash and prizes were awarded, with categories for shooters of all skill levels. There was a big turn-out for the event. Competitors were treated to bright, sunny skies yesterday. Here are photos from the match, courtesy NRA General Operations. Share the post "Get Up-to-Date Match Results from Camp Perry"
Gun Digest offers a users’ guide for tactical rifles. Authored by Patrick Sweeney (Guns & Ammo Handguns Editor), the 224-page Gun Digest Book of the Tactical Rifle covers tactical rifle types, ammo, reloading, and tactical accessories. Most of the book’s sixteen chapters are gun-specific — detailed discussions of particular rifles such as the M15/M1A, the FN-FAL, and the Sig 556. There are also dedicated chapters on Bullpups, Rimfires, and “Sniper Rifles” (both bolt-action and semi-auto). The handguns editor for Guns & Ammo magazine, Patrick Sweeney is a also a credentialed gunsmith and police firearms instructor. He has written many of Gun Digest Books’ best-selling titles including: Gun Digest Book of the 1911, Vols. I and II; Gun Digest Big Fat Book of the .45 ACP, Gun Digest Book of the AR-15, Gun Digest Book of the AK and SKS, among other titles. Share the post "Guide to Tactical Rifles from Gun Digest"
The NRA/Springfield M1A Match takes place August 5, 2012 at Camp Perry, Ohio. This special M1A match revives interest in the M14, and its modern derivatives. (Springfield’s M1A is a commercially-produced, semi-auto version of the M14.) At one time, M14-based match rifles dominated Service Rifle matches, but that’s history. Now M16/AR15 platform rule the roost in the Service Rifle game. But many shooters loved the old wood, .30-caliber rifles, leading to the creation of a special National Match just for M1A rifles. Renewed interest in the M1A, coupled with big-money sponsorship from Springfield Armory, led to the the first dedicated Camp Perry M1A match in 2008. That first-ever match proved a huge success, drawing over 500 shooters. Hundreds of M1A shooter are expected again this year. This year’s M1A Match will be the richest ever — with over $27,000 in cash and merchandise up for grabs. Springfield Armory has kicked in additional sponsorship to provide more payouts and prizes. The top three civilians receive prizes of $2,500, $1,500 and a M1A Rifle respectively. High Military, Woman and Senior receive $500 and a Springfield pistol each. The High Junior also receives $500 and an additional $500 is donated to their Junior Club. For everyone else who hasn’t already won a prize, $200 will be given out to 25 competitors using Lewis Class scoring. In addition, four Springfield pistols and two Springfield rifles will be awarded through prize drawings held during the match. No expert marksmanship needed for these — names are drawn out of a hat, all competitors have a chance to win. Story based on reports by Kyle Jillson in the NRA Blog. Share the post "M1A Shooters Vie for over $27,000 Worth of Prizes This Summer"
Renewed interest in the M1A, coupled with major sponsorship from Springfield Armory, led to the the first dedicated Camp Perry M1A match in 2008. With $25,000 worth of prizes and cash awards, that first-ever match proved a huge success, drawing over 500 shooters. This year, match organizers also expect hundreds of shooters, who will compete for cash awards, as well as Springfield gun-giveaways. 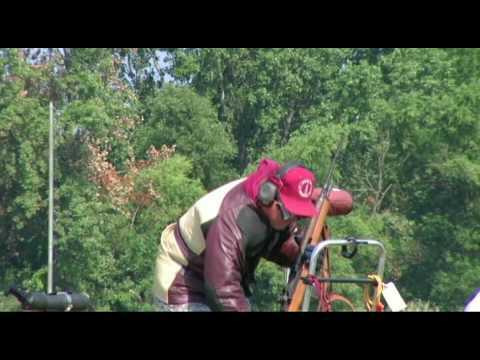 Share the post "NRA Springfield M1A Match Today at Camp Perry"